For further information please call +357 26 84 84 84 Department of GHS. This entry was posted in News on April 15, 2019 by iasis Hospital. Responding to this need, the team of Tetrahand Cyprus was created in March 2016. The team comprises of world established Professor Jan Friden of the Swiss Paraplegic Centre in Nottwil Switzerland, Mr Constantinos Kritiotis, Consultant Hand Surgeon in Iasis Private Hospital Paphos and Salford Royal NHS Foundation Trust in Manchester, UK, Sabrina Koch-Borner, Physiotherapist of the Swiss Paraplegic Centre and Christiana Fakonti, Physiotherapist of the Paraplegic Department of Nicosia General Hospital. The aim of this service is to provide reconstructive surgery and advanced patient-specific rehabilitation to this demanding group of patients. 3. Spasticity reduction surgery which can lead to better hygiene and posture of the patient as well as in some cases with functional improvement. So far, the team has assessed over 25 patients and performed ten successful reconstructions in eight patients. The patients are operated in Iasis Private Hospital in Paphos and rehabilitated in the Paraplegic Department of Nicosia General Hospital. More complex and demanding patients are referred to the Swiss Paraplegic Centre in Nottwil, Switzerland. In parallel, we also have an academic development as evidenced by our presence in two International Conferences, the Tetrahand World Congress which was held in Switzerland in August 2018 and the FESSH Annual Congress which was held in Copenhagen in June 2018. Further to the above, we also provide mini observerships for international surgeons. 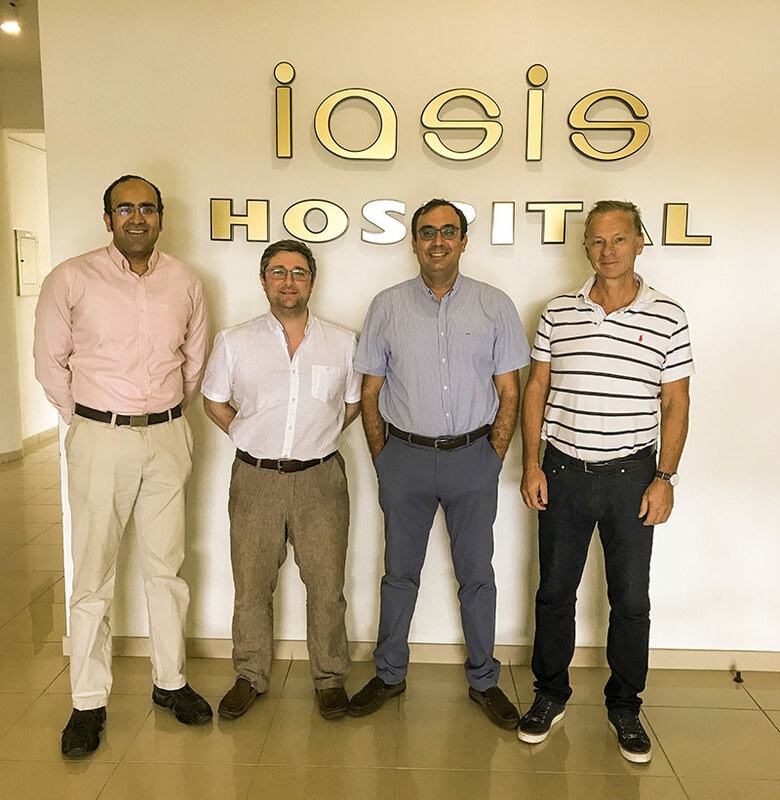 We were more than happy to welcome Mr James Bedford, of Manchester University NHS Foundation Trust and Mr Michael David, of University Hospital of Coventry and Warwickshire who attended our work from 21/10/2018 to 26/10/2018 here in Cyprus. We aim to continue and expand our service in order to provide a comprehensive neurohand service for the people of Cyprus and also patients from neighboring countries as well. This entry was posted in News on November 2, 2018 by iasis Hospital. 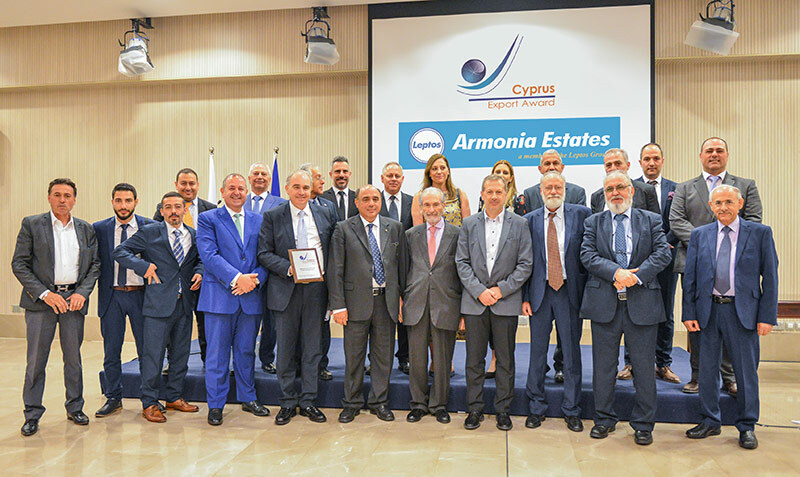 At a special event, which took place on Tuesday the 24th of April 2018, the President of the Republic of Cyprus Mr. Nicos Anastasiades honored ARMONIA ESTATES LTD, a member of the Leptos Group, with the Cyprus Export Services Award for 2016. This is the second time, after 2014 where the Leptos Group achieves this very important distinction. The Cyprus Export Award was established in 1982 with the aim of rewarding exceptional effort to increase exports of products and services. As far as services are concerned, this award is given to companies with outstanding performance, notably recognizing the great effort to open up new markets and import foreign currency into the country. 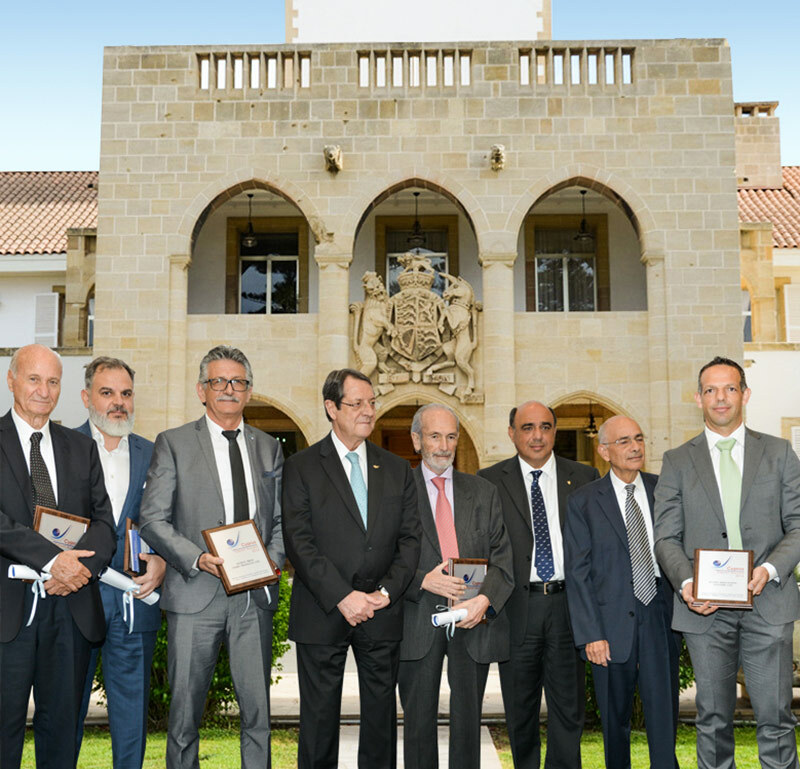 The Cyprus Export Services Award reflects the strength of extroversion. This confirms that the only realistic way for the growth of the economy is to attract investment from abroad. In order to achieve this challenge, we need solid business ambassadors that can strengthen the international image of Cyprus and the economy of our country. H.E President Nicos Anastasiades warmly congratulated the winners, stressing the benefit of the country’s economy from such activities. 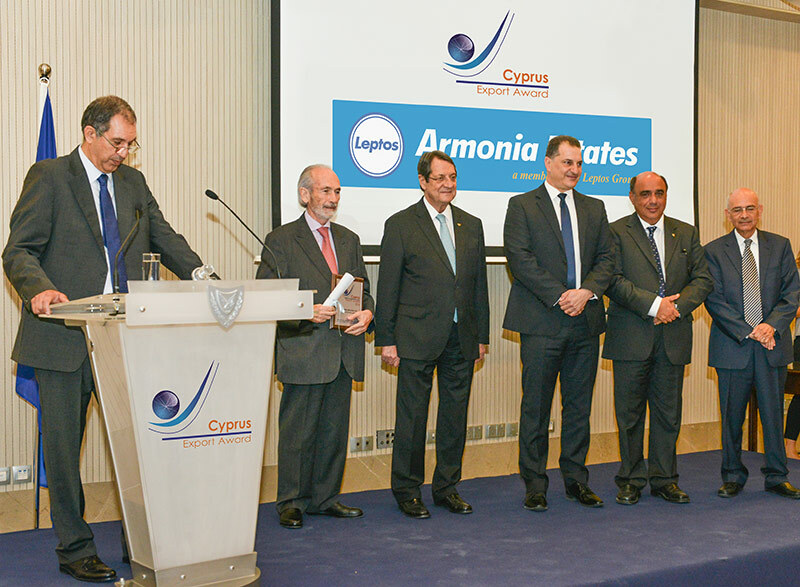 The Founder and Chairman of the Leptos Group, Mr. Michael G. Leptos receiving the award on behalf of the Group thanked the President Anastasiades and the organizers of the event. He stressed that the Leptos Group is committed to its outward-looking strategy and implements its investment planning with a view to adding value and creating new potential. The Leptos Group holds the leading position in its sector in Cyprus. This is the result of a vision of continuous development. In it’s over 58 years of business development, the group has chosen to face the challenges based on the quality of its products its unique locations and the know-how and experience of its people. For several years now, the group has strategically been heading for the opening of new international markets. Unprecedented and systematic efforts have yielded tangible business results in Russia, the Middle East, Africa and Asia. The Group’s international business promotions, in addition to the Group’s dynamics, stimulates government revenues and contributes to enhancing confidence in the Cypriot economy. The Group’s companies continue to implement their strategic objectives and the upgrading of services and activities. They are also progressing towards the completion of studies for the construction of the Neapolis Smart EcoCity project. The Neapolis University Pafos, part of the Neapolis project is in its eighth year of operation and is developing dynamically with the creation of new schools and programmes. The Leptos Group implements new development projects, mainly in coastal areas that appeal to prospective buyers’ high expectations. Furthermore, the ongoing programme to upgrade the hotel units continues, giving emphasis on conference tourism, family programmes, as well as the creation of new amenities and facilities. The Group also continues to upgrade the Iasis Hospital and the preparation for the creation of a Healthcare Park. This entry was posted in News on April 25, 2018 by iasis Hospital. 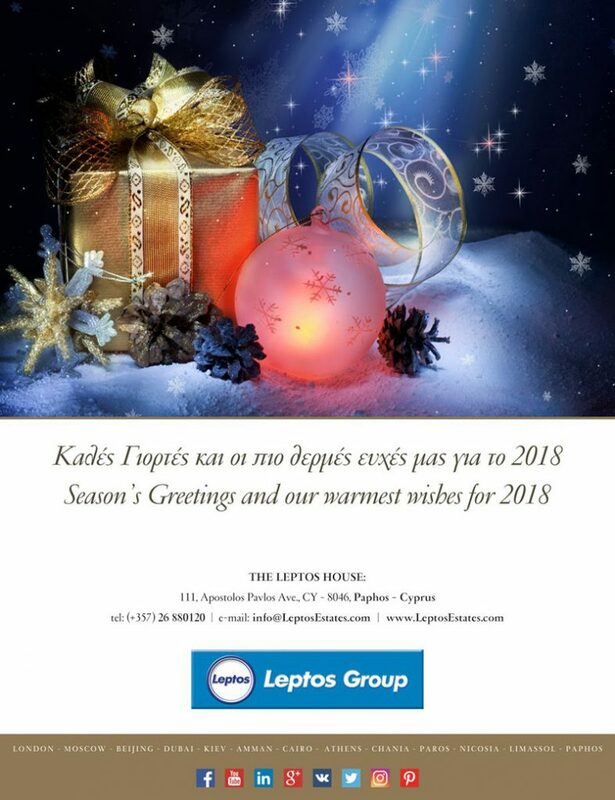 The end of 2017 and a New Year Ahead was the perfect opportunity for the Leptos Group’s employees to get together to reflect on the past 12 months and look forward to an exciting New Year. 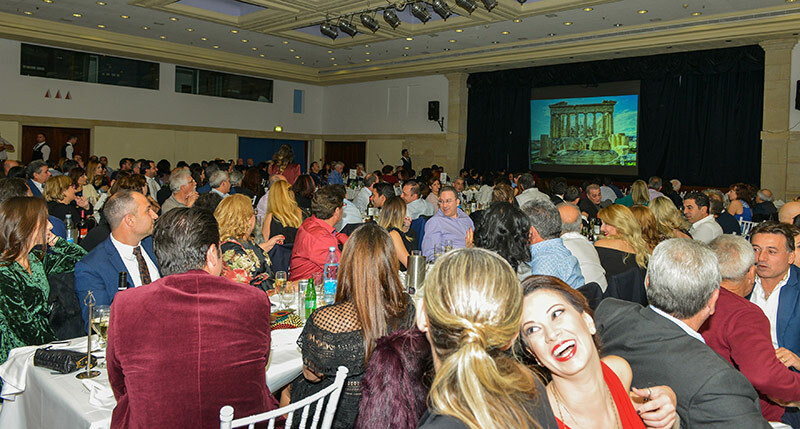 Staff gathered in the Akamas Ball Room of the Coral Beach Hotel & Resort at a dinner and dance party hosted by the Group with live music and celebrations. 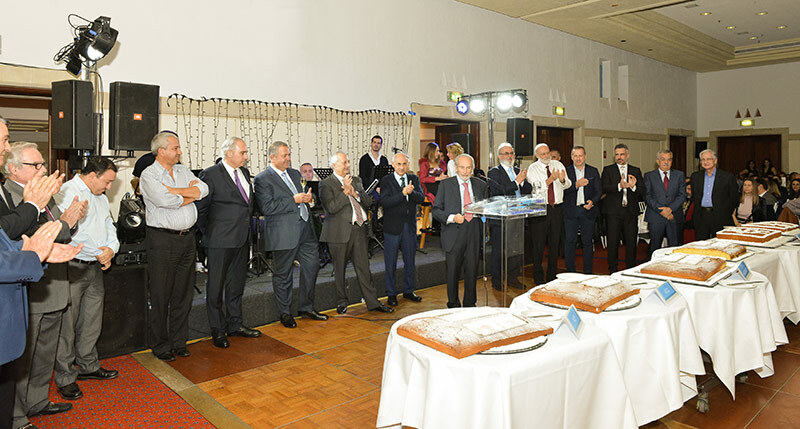 The Group Chairman Mr. Michael Leptos gave a warm speech in a festive happy atmosphere, thanking and congratulating all employees for a great and successful year 2017 and wishing them a Happy New Year, good luck and prosperity to all. This entry was posted in News on January 26, 2018 by iasis Hospital. Wishing you Happy holidays, Merry Christmas and a Happy New Year with prosperity and success. This entry was posted in News on December 21, 2017 by iasis Hospital. 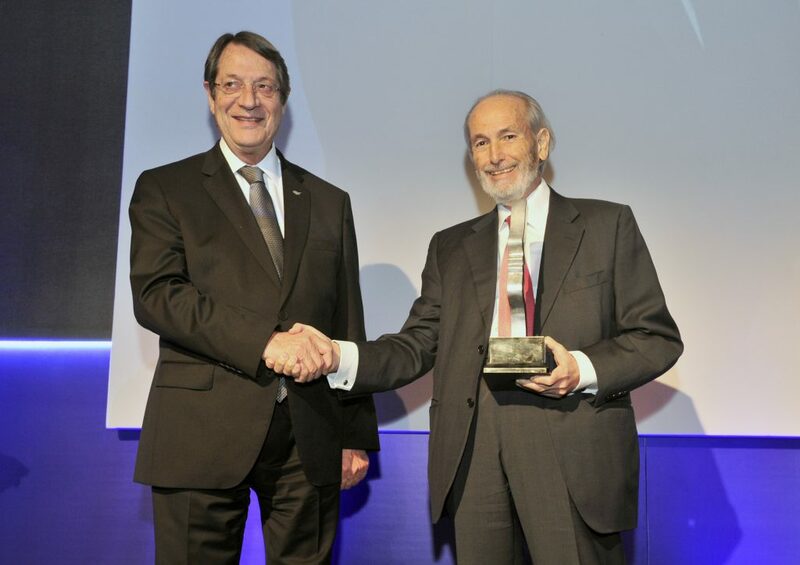 The Honorary Business Leader Award of the KEBE for the “Overall Contribution to Entrepreneurship” was awarded by the President of the Republic Mr. Nicos Anastasiades to Michael Leptos, Founder and Chairman of the Leptos Group of Companies as well as of the Neapolis University Pafos at an event that was recently held in Limassol. The nomination of Mr. Michael Leptos was based on his work, his overall contribution and his business activities in Cyprus, which are characterized by his leadership, vision and innovative strategies. Michael Leptos, was born in Kyrenia, and graduated as a Civil Engineer in the Polytechnic School of Athens. He started as a self-made entrepreneur and pioneer in the land and building development. Following the Turkish invasion, in 1974 when he was forced to leave behind substantial projects and other properties, he relocated his activities to Jeddah, Saudi Arabia and began constructing prestigious residential developments like Saudia City, a modern city with 4000 housing units and Palaces. He then chose Paphos as the center of his business activities in land and property development. Paphos with its exquisite natural beauty and history offered great potential for development. The Leptos Group has also expanded to Limassol and Greece with prestigious residential and holiday developments as well as hotel resorts. 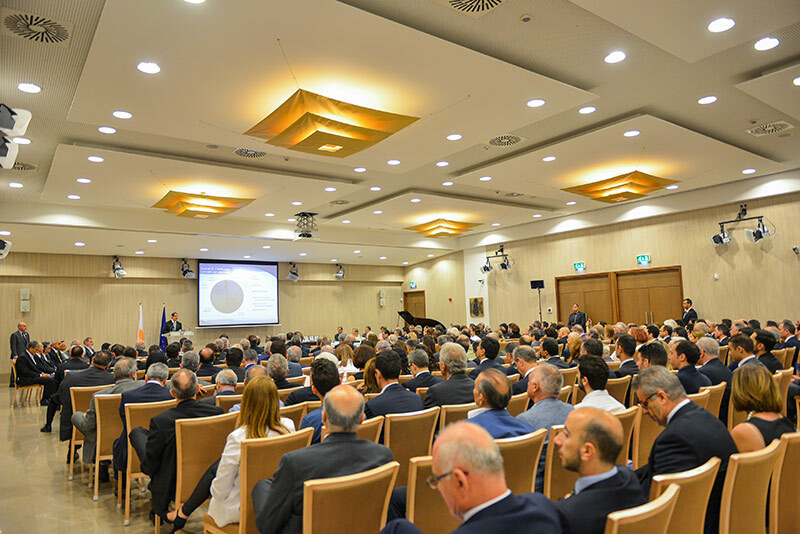 He is proud of all the Group’s projects and especially “Kamares Village”, “Coral Beach Hotel & Resort”, “Neapolis University” as well as the new major project “Neapolis Smart Eco City” a large, innovative, mixed-use development of 1.1 million square meters. Michael Leptos is the Honorary Consul of the Kingdom of Jordan in Cyprus and has been honored with the medal of the Independence of the Kingdom. 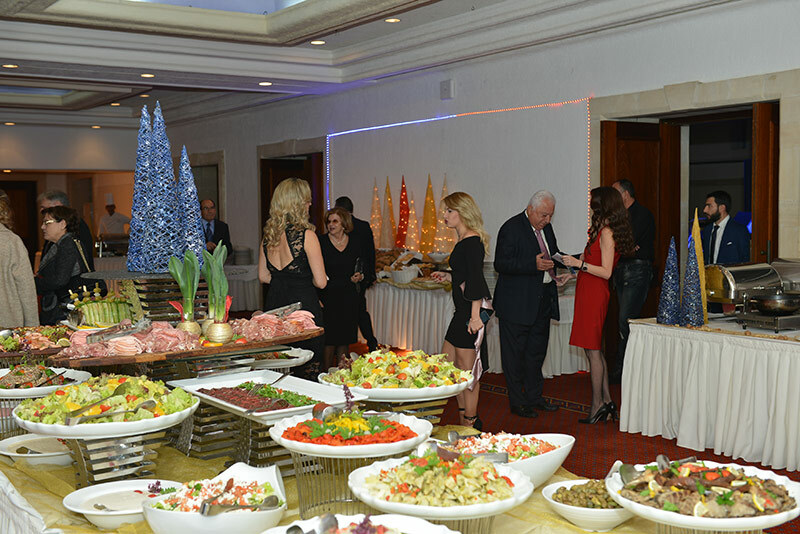 He has also been honored by the International Federation of Real Estate Professionals (FIABCI), the Pancyprian Association of Land Development Entrepreneurs (LBDA) in which he served as president for several years, the Cyprus as well as the Paphos Chamber of Commerce and Industry, the Cyprus Hotel Managers Association, the Paphos church Authorities, the Kyrenia Municipality, the Greater Amman Jordan Municipality as well as the Senate of Jordan. This entry was posted in News on December 14, 2017 by iasis Hospital. 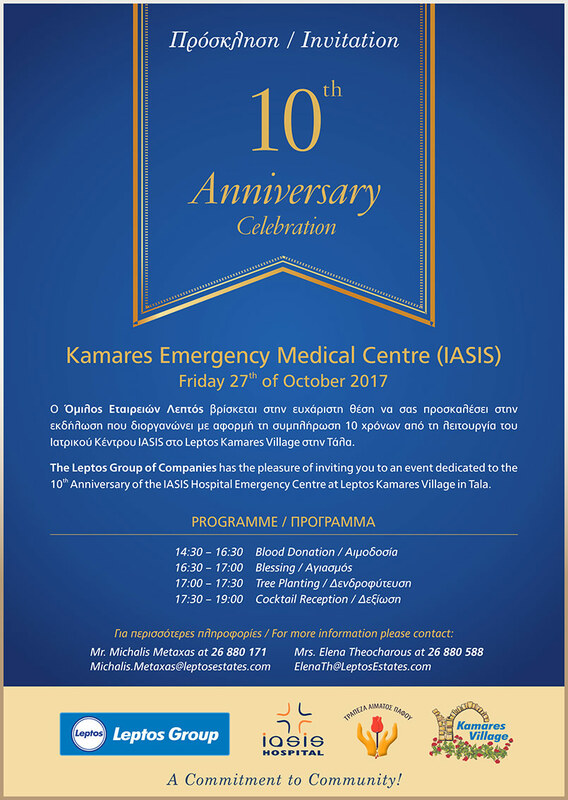 On Friday the 27th of October a very successful event was held dedicated to the 10th anniversary of the IASIS Emergency Medical Centre at Leptos Kamares Village, near Tala. 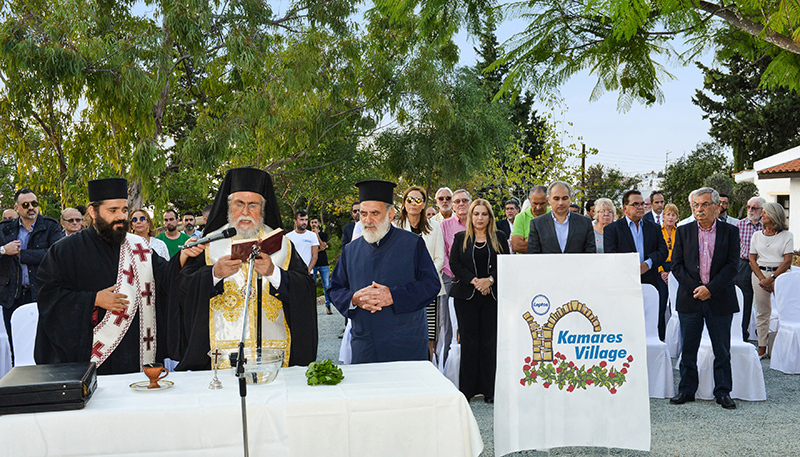 The programme included, Blood Donation, Blessing, Tree Planting, the unveiling of the new IASIS Park followed by a cocktail Reception. This grand event was held in recognition of the medical Center’s 10th year in operation since its opening in October 2007. The Medical Centre has the ability to respond immediately to any emergency, with an on-call Emergency response ambulance, highly trained and qualified doctors and nurses and, fully equipped facilities and provides medical assistance 24/7. 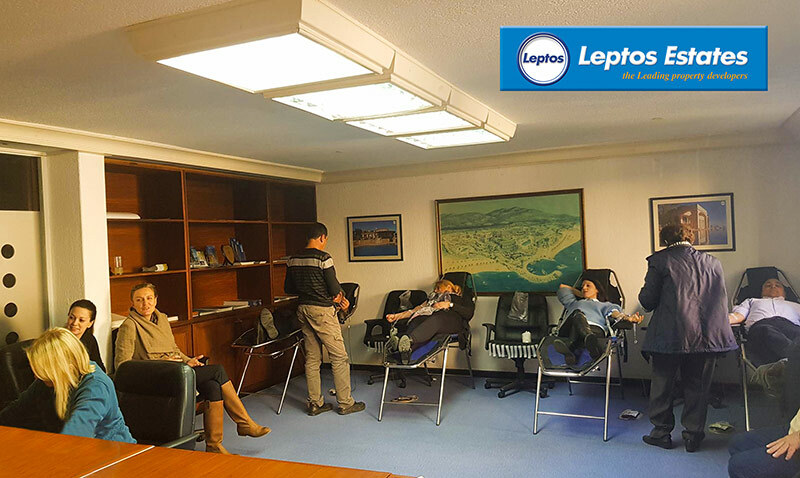 The building is provided by Leptos Estates and the medical staff and equipment are provided by the IASIS Hospital. 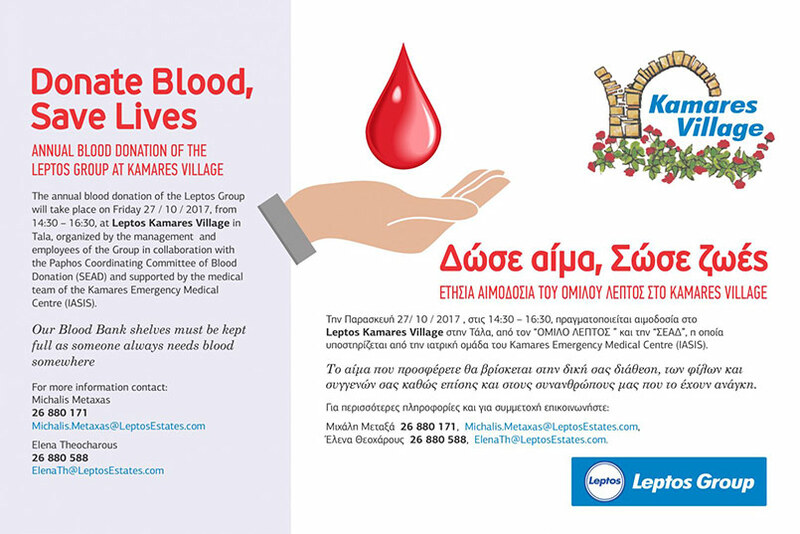 Mrs. Maurine Pollard and Mrs. Christina Michaelidou on behalf of the Emergency Medical Centre and the IASIS Hospital commented that, “today’s event was a great success because it managed to achieve public awareness both for the residents of the area as well as for the general public. The Medical Centre has added another positive aspect and peace of mind to both residents of Kamares Village as well as nearby communities”. Leptos Kamares Village is the flagship development of Leptos Estates and is one of the most exclusive Villa developments in Cyprus and amongst the most distinctive in the Eastern Mediterranean. Kamares Village has obtained prestigious international awards and prides itself on being more than just an exclusive villas development. The Kamares Club open to everyone, is a focal point for the social life of the area. The range of services and facilities on offer included a reception, restaurant, bar, function room, 2 tennis courts, communal S.pool, landscaped gardens, as well as Property Management and Sales Offices. This entry was posted in News on October 30, 2017 by iasis Hospital.